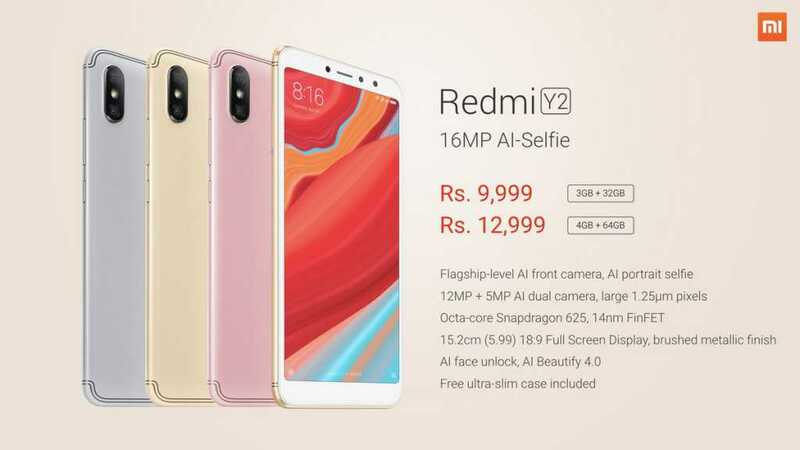 Xiaomi has launched Redmi Y2, successor of last year’s Redmi Y1, in India. The device was unveiled today at an event held in Delhi. The phone is selfie centric with a 16MP front camera. The Redmi Y2 3GB RAM + 32GB internal storage variant is priced in India at Rs. 9,999. The top variant i.e. 4GB RAM + 64GB internal storage is priced at Rs. 12,999. It will be available through Amazon.in, Mi.Com from June 12 at 12 noon. 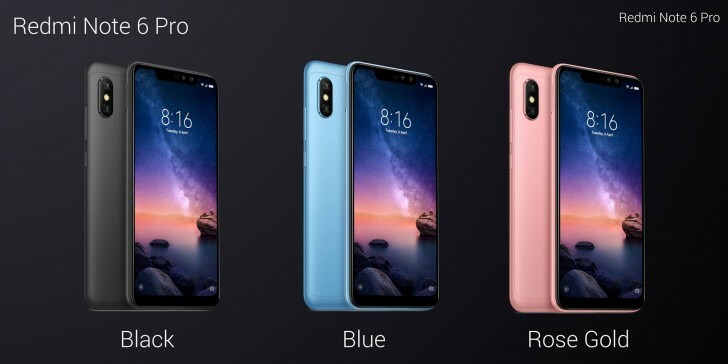 The phone will also be sold via company’s Mi Home stores. There are three color options available to the user- Gold, Dark Grey, and Rose Gold. The Redmi Y2 sports a 5.99-inch HD+ display with 1440×720 pixel resolution and 18:9 aspect ratio. The Redmi Y2 is powered by a Snapdragon 625 processor which can deliver up to 37 percent better performance than its predecessor Redmi Y1, as claimed by the company. The RAM is 3GB/4GB and storage capacity is 32GB/64GB which can be extended up to 256GB as there’s a dedicated microSD card slot. 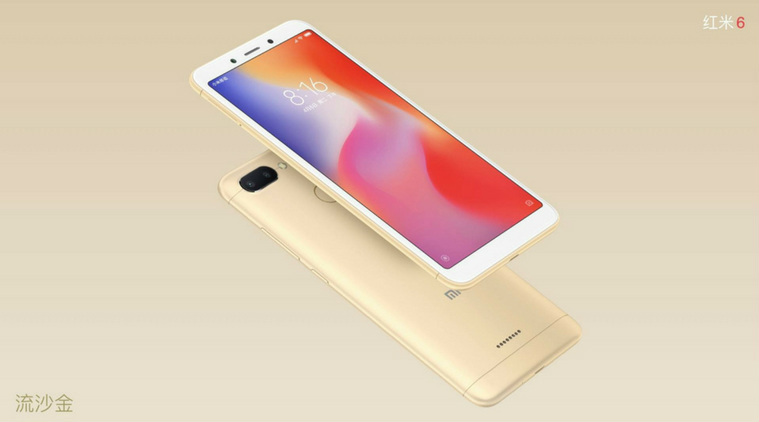 The phone runs MIUI 9.5 based on Android Oreo operating system and is backed by a 3080mAh battery which the company claims can last an entire day with a single charge. As mentioned earlier, the device is being branded as a selfie-phone. It hosts a 16-megapixel front camera with f2.0 aperture and large 1.25um pixel size sensor. The front camera also supports LED flash and features group portrait selfie and auto HDR. The rear hosts a dual camera setup including 12 MP + 5 MP camera. 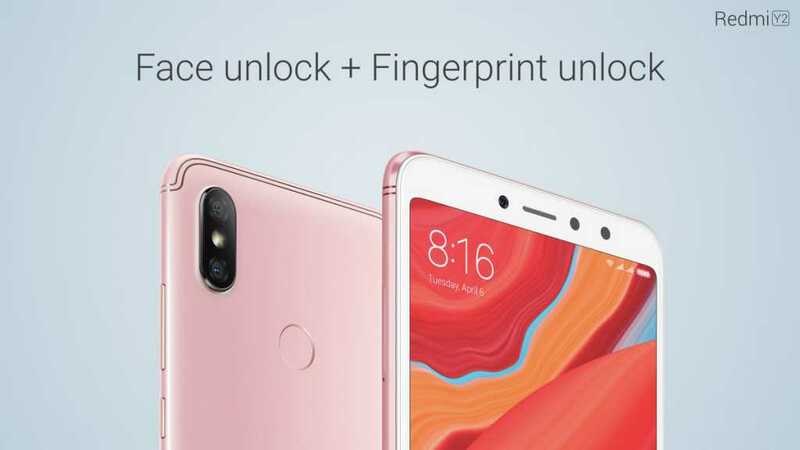 For security purpose there’s AI-based Face Unlock and fingerprint sensor which can also be used to take selfies. For wireless connectivity, you have 4G with VoLTE, WiFi and Bluetooth 4.2.